Welcome to Blue Myst Films + Media. 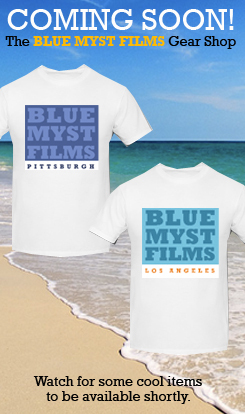 Blue Myst Films + Media is a Pittsburgh-based production company that leverages the awesome power of film, television, video, branded content, and audio to engage audiences and tell stories across a variety of platforms. Video is now one of the most effective tools in the marketer's toolbox. YouTube is now the second-most-used search engine on the planet, and storytelling has been embraced by many companies of all sizes as an important marketing tactic. Today, companies of all sizes and types are enthusiastically using video to connect with, engage and sell to their prospective and current customers. We can help you do that. Clients engage us to help them connect with their audiences, market, promote, publicize, tell, sell, inform, educate, explain, and—often—entertain in vivid, memorable and effective ways. We also write, produce and distribute original films, videos and web series. Contact us via email or at 412.760.2299 to discuss how we can help you. © 2019 Blue Myst Films + Media. All rights reserved. Site developed and maintained by John Fries Communications.